Chipmunks ahoy! It’s a tidal wave of toe-tapping music and unforgettable fun for the whole family as Alvin and the Chipmunks return in their greatest adventure yet! 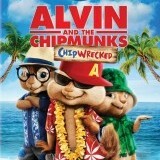 While on vacation aboard a luxury cruise liner, Alvin, Simon, Theodore and the Chipettes can’t help rocking the boat with their unique brand of ’munk mischief. But things get really squeaky when the gang winds up stranded on a remote island — and they soon discover their new tropical playground is not as deserted as it seems. If you’ve seen and enjoyed the previous two Chipmunk movies, then chances are good that you will like this one too although my enjoyment for this franchise has dropped with each installment. Each Chipmunk movie is essentially the same with the exception of some kind of twist, whether it’s the appearance of some female chipmunks or in this case being marooned on a tropical island. These movie are geared for younger children and my four year old son enjoyed it enough but even he liked the earlier movies. This movie opens with Dave (Jason Lee) taking the chipmunks on a family vacation on a cruise ship. As usual, Alvin (Justin Long) leads the others into mischief and trouble. Simon (Matthew Gray Gubler) convinces Dave not to punish Alvin and instead to give him a chance to prove that he’s growing up and can be responsible. Dave relents but despite the trust given, Alvin and the others end up in trouble again. Unfortunately for them, the cruise ship’s safety officer is their old nemesis/manager Ian Hawke(David Cross) who has lost his position in the music industry due to his callous treatment of the chipmunks in the past. When Ian sees Dave and the chipmunks on the ship he warns Dave that he will be looking for any opportunity to bust the chipmunks when they step out of line. It doesn’t take long, since Alvin decides to go para-sailing with a kite and he ends up getting all of the chipmunks carried off by the wind and off the ship. When Dave tries to save them he is thwarted by Ian and the two of them fall into the ocean. They all end up on a tropical island with the chipmunks on one side of the island and Dave and Ian on the other. While Dave and a reluctant Ian search for the chipmunks, Alvin and the others suddenly find that they are now on their own and must come up with a plan for survival. Now forced by circumstances by fate to be responsible, Alvin takes charge and uncharacteristically begins acting mature and planning for the future. He assigns the others to collect food, wood, and prepare a shelter so they will be ready for the night. During their collection effort, the six chipmunks run to a human castaway named Zoe (Jenny Slate) who has been stuck on the island for years. Following Zoe back to her treehouse, Simon is bit by a spider whose venom causes personality changes, including a loss of inhibition. Because of that, Simon adopts a french accent (provided by Alan Tudyk) and begins hitting on Jeanette (Anna Faris). When he later discovers a cave filled with treasure, things get a lot more complicated especially when they discover that not everyone can be trusted and that there is an active volcano on the island that’s about to erupt. There really isn’t much to recommend about this movie unless you or your children really liked the earlier movies as this is pretty much more of the same thing. The song choices aren’t as good this time around and the whole thing is feeling less and less fun and original. This franchise reminds me a lot of the Shrek series which also had diminishing returns the longer it continued. The animation is still pretty good and the actors chosen for the roles are good ones but the script just isn’t’ good enough. Jason Lee and David Cross do their best with what they’ve been given, but there’s not much they can do to save it. As you may have heard, for David Cross, this movie represents “the most unpleasant experience I’ve ever had.” Cross was contractually obligated to appear in this movie and he wasn’t pleased about it, which is understandable especially when you’ve seen the movie and his role. Unlike Cross, you have a choice whether or not you want to expose yourself to this movie. Despite the fact that this movie somehow made over $338 million world-wide, I would recommend that adults think long and hard before watching this one unless they have children. If you or your kids are hankering for some chipmunks then watch the first movie instead. This 1080p (1.85:1) transfer is pretty good as it offers bright colors and some decent detail. The blend between the live action scenes and the animation isn’t perfect but it’s a pretty good mix. The detail in this transfer is also above average and you can see the lines on the actor’s faces as well as the textures on their clothing. The CGI chipmunks also look pretty good but because they are being blended in with the live action, they aren’t as sharp as they could be. Once they are all on the island, the natural foliage and colors really pop off the screen. Black levels are decent but are occasionally washed out somewhat but contrast is pretty good as a whole. I didn’t notice any digital blemishes to detract from the image quality. For a largely animated movie that’s filmed on actual film and not digitally, this turned out pretty good. Alvin and the Chipmunks: Chipwrecked’s DTS-HD Master Audio 5.1 mix is also better than you’d imagine for a kid’s movie but it never reaches the greatness of Disney and Pixar’s latest efforts. The dialogue is clean and intelligible as delivered by the front channels and the rear speakers are also utilized well and they deliver some strong environmental ambiance of whatever is nearby (waves, jungle sounds, etc.). There’s also some nice directional effects employed that add some extra fun to the movie. The LFE channel also comes off well, especially towards the end when the volcano starts erupting. The chipmunk’s music also sounds good (audio-wise) but unless you know the source song well, you may not understand the lyrics since it’s harder to understand what they’re singing now that the songs have a faster tempo. Then again, maybe I’m just an old man and out of touch. Overall, this is a solid mix but it could have been better. These extras are kid-centric so don’t expect anything in depth here. 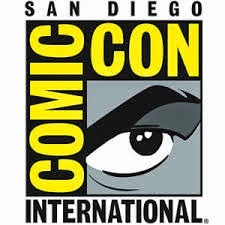 I did enjoy seeing Alan Tudyk acting silly though while my son liked the music and game extras. All are in high definition. Munk Music & Dance Machine – If there is a desire to hear the songs again, this feature makes it easy to do. Going Overboard with the Chipmunks - Ross Bagdasarian and Janice Karmen talk about past stories that influenced the plotline for this movie. Munking Movies in Paradise – A brief look at filming on location in Hawaii. Everybody Munk Now – A look at the dance scene on the cruise ship with the Chipettes. Alan Tudyk, Chipmunk Apprentice – A silly but enjoyable short where we see the voice actor for Simon learn that Alan Tudyk would be voicing Simon when he thinks he’s French. He plots his revenge and convinces Tudyk to do many silly things to get into character to become a chipmunk. As a fan of Tudyk’s I liked seeing this more than anything else. Music Videos – There’s three music videos included (Vacation, Survivor, and Bad Romance) with optional sing-a-long mode. Fox Movie Channel Presents: Growing Up Alvin - A ten minute talk with Ross Bagdasarian who talks about his dad, who was the creator of The Chipmunks. Fox Movie Channel Presents: In Character with Jason Lee - A talk with Jason Lee about playing Dave Seville. Extended Scenes - There’s eight extended scenes added including: “Walk the Plank”, “Brittany’s What If…”, “Ian’s Hungry”, “Stop Being Paranoid”, “I Don’t Spank Them”, “No, No, No…”, “Zoe’s Map”, and “Nowhere Else to Go”. Promotional Fun – Here’s a collection of goodies that include: Survival Tips, Rules, Jingle Bells Music Video, and three trailers. BD-Live Exclusive: Hand and Pawprint Ceremony – Hand and Pawprint Ceremony at LA’s Chinese Theater. While I didn’t care much for the movie, my son liked it but not as much as he liked the earlier films. The Blu-ray itself is put together fairly well, with above average picture and sound quality and some extras that kids will enjoy. Just like the film itself, the extras could have been better, but fans of the franchise probably won’t have much to complain about when it comes to this Blu-ray.